Staircases can last a pretty long time. In Europe, a wooden staircase have been found in a Bronze Age salt mine that is over 3,000 years old and still in great condition. While this is one of the oldest wooden staircase types there are plenty of stone staircases still standing today that dates from ancient times. If a staircase is designed and installed by a staircase expert like S&A Stairs, then these constructions should stay in great condition and strong and sturdy for many years to come. There are however many things that can affect the functionality of a staircase. Building modifications, natural disasters, and even interior decorating changes could have an effect on the functionality and beauty of your staircase and might inspire you to change or replace your old staircase. The only question then remains – is it better to upgrade your old staircase or should you simply make way for a brand new staircase design. Here is a quick guide to help you decide. If your building construction is upgraded and changed then your current staircase might no longer be practical. It could be that it is simply situated in the wrong place or seems to be in the way. In these cases, it is best to opt for a brand new staircase. There are many staircase types that can be installed in any room or location of the building so you can once again restore practicality. Squeaking staircase steps are all too common and shouldn’t be a concern to you. But if your staircase construction is no longer strong enough or seems to be damaged then it is best to get the entire staircase replaced with a brand new and more beautiful design as quickly as you can. Faulty constructions could result in a cave in that could lead to terrible injuries. Just because your staircase no longer fits in with modern styles doesn’t mean you have to get it replaced. If your home has a classic style interior decorating then keep your staircase exactly the way it is. The traditional classic style captures natural beauty and emphasizes the era the house or building was created. But if your staircase no longer fits in with the design or interior decorating of your remodelled home then it might be best to get an upgrade. There are lots of ways we can improve or upgrade your old staircase for a fresher and modern look without taking everything out. A fresh set of balustrades, new chrome handrails, and a good polish might be all that is needed to refresh and modernise these constructions. Traditional staircase designs were a lot bigger and bulkier than modern staircase designs. A fresh new staircase that takes up less room and less visual space in your home or building can be a real breath of fresh air. In many homes, the staircase might simply be in the wrong spot. It can take up too much space in the centre of a living room, it can be too far back in the house or simply don’t look right. In these cases, a fresh new staircase could make a world of difference in terms of aesthetics. Staircases can last a very long time. If there is nothing wrong with the staircase construction then you could revive the old staircase by simply getting new and fresh materials installed. New balustrades, a fresh coat of paint or new timber steps could enhance the staircase tremendously. Are you looking into an upgrade or replacement? Then we welcome you to give our staircase experts at S&A Stairs a call. Our design teams are excellent at reviving old staircases or can get a brand new staircase designed and installed in place of the old one. How Long Does a Custom Staircase Project Take? Looking for an impactful way to transform your home? A custom staircase might be the answer. Offering a stunning centrepiece to any home, a custom staircase allows you to add your own personality to your home in a really meaningful way. Rather than through decorations or fixtures, you can leave your mark on your home with a stunning custom staircase. If you’re new to custom staircase project, you’ll want to get a sense of how long the project might take from start to finish. While the timeline can vary depending on the complexity of the project, here’s how long a custom staircase project should take. The design phase is often the longest part of the custom staircase project. Entire design phase, from the first consultation to the approval of the final design, can take as little as two weeks or as long as two months or more. You shouldn’t be concerned with getting through the design phase as quickly as possible. It’s important to take your time choosing the design, style, materials, and layout of your staircase. We also view the space multiple times to get accurate measurements, ensure your staircase is up to code, and draft accurate designs. We will work with you one on one throughout the design process to keep you up to speed on your custom staircase. Depending on requested revisions and design changes, the design phase can easily be the longest and most important part of the project. The project planning phase is often built into the overall design phase, but it’s important to understand what all goes into project planning. Our team of skilled carpenters will gather the necessary measurements of your space as well as create a custom project plan for your staircase. Those plans often involve preparing your home for the project, removing the existing staircase, and fitting, building, and installing the new custom staircase. The project planning phase may only take a few business days, but it’s important that the plans are done right to help streamline the renovation. Depending on the complexity of your staircase, the construction time can vary. For straightforward, traditional staircases, installation can be completed with a day or two. Complex staircases may take a little longer depending on the size, style, custom design, and materials of the components. We work diligently to complete your project as quickly as possible without compromising on quality - we always use proper construction methods and adhere to strict safety regulations throughout the build. After the installation is complete, we’ll do a final walkthrough and quality check. If there’s anything out of place, we immediately resolve the issue - our goal is to exceed your expectations with the quality of the staircase and the overall service that the S&A Stairs team provides. The final walkthrough can be completed in just a few hours. Overall, you should expect at least a month to a month and a half for your project to be complete, and that’s for a straightforward, simple design without any special requirements. For more complex, intricate designs, it can take closer to three months from the initial design consultation to the final walkthrough. While it’s certainly a big project, a custom staircase can truly transform your house into the home of your dreams. We pride ourselves in providing industry-leading staircase designs and construction services. For more information on our staircase design options or to get started with a design consultation, contact the team at S&A Stairs today. Designing a custom staircase for your home or business is a fun, exciting project, but if you don’t understand your budget and know how to make your budget go the furthest, it can become stressful and overwhelming. Understanding the concepts of custom staircase designs can help you plan your budget accordingly. You don’t have to sacrifice on quality or style just because of a smaller budget. While traditional, standard staircases are often less expensive, they don’t offer the style and elegance that a custom staircase does. At S&A Stairs, we handcraft all of our staircases and design each piece specifically for our clients and their space. If you want to transform your home with a custom staircase, here’s what you need to know to design a stunning custom staircase on a budget. First and foremost, you need to get an accurate understanding of the size requirement of your staircase. When you consult with the team at S&A Stairs, we will measure your space and provide custom drafts of your staircase design. Typically, the larger the staircase the greater the cost, but that isn’t always the case. The complexity of both the staircase and the space that the staircase is being installed can also impact the price of your custom staircase project. Start by measuring your current staircase, both height and length, to understand your specific staircase needs. As we mentioned, the complexity of the staircase will also have an impact on the overall price of the custom staircase project. A straight flight, minimalist staircase is going to be a very different price than an intricate spiral staircase in a tight space. We can help you decide what’s right for both your space and your budget. Just as important as the price of the staircase is the functionality of the staircase. While price is certainly a major factor when deciding the design of your staircase, it wouldn’t make sense to choose a staircase that isn’t particularly functional just to save money on the project. One of the most varying factors of your staircase is the material choice - your materials can drastically change the overall cost of your custom staircase. For example, a wooden staircase may be more cost-effective than wrought iron and high-end stainless steel. However, even the choice of wood can make a difference in price. The great news is that you have complete control over the materials that you use, so you can control your costs by choosing materials that are less expensive. We only use high-end materials, so choosing a material that is less expensive doesn’t mean that you’re getting a lower-quality staircase. We work hard to keep our labour costs low for all of our clients. From the initial design to the final day of installation, we streamline our processes and cut costs so we can pass those savings on to you. The great news is that labour costs are consistent and predictable, and you’ll get an upfront quote to show you what labour would cost for your project. There’s a lot to think about when designing a custom staircase, and for many home and business owners, the top factor is budget. When you work with S&A Stairs, you’ll get a beautiful, reliable custom staircase at virtually any price point. Using industry-leading design and construction techniques, you won’t have to sacrifice on elegance and durability due to budget restrictions. Let’s get started with your custom staircase consultation - we can review styles, designs, materials, and more to help you get a clear understanding of what your project will cost. Contact the team at S&A Stairs for more information on how we can transform your home or business with a custom staircase. Having a custom staircase installed in your home is no small project. The entire design and installation process can take upwards of several weeks, and it’s important to properly prepare your home before the project even begins. Otherwise, you’re risking delays and complications with the installation. Fortunately, there are a few simple steps that you can take as a homeowner to help streamline the process. At S&A Stairs, we create lasting partnerships with each of our clients, and we’re here to ensure that every project is a success. In addition to providing high-quality custom designs and installation services, we’re also here to provide expert tips and advice for homeowners. Here’s how you can prepare your home for a new custom staircase. The entire construction and installation phase for your custom staircase can take a week or longer, so it’s important to remove all important items from your second floor if you don’t have a second staircase in your home. The team at S&A Stairs uses state of the art design and construction methods to streamline your project, but you should plan to not have access to your second floor for a while. It’s important to keep your home as free from clutter as possible - renting a temporary storage facility lets you have access to the things you need without cluttering up your home. Before demolition and construction can begin, you’ll need to clear the area in your home around the staircase. Remove all furniture, decorations, and home goods to minimise obstructions. If you have carpet on your existing staircase, you can help move the project along by completely removing the carpet and padding from the staircase before the project beings. Simply find the corner of the carpet and start ripping it up to quickly remove the carpet - be sure to do the same with the padding. While removing carpet doesn’t take much time, doing this part yourself does save time in the project overall. Tearing up the carpet is one thing, removing it from your home and disposing of it is another, so doing that part beforehand allows the construction team to focus on the demolition and installation of your staircase. A custom staircase project is going to kick up a lot of dust, both from the demolition and the construction of your new staircase. Be prepared for lots of dust throughout your home and plan accordingly by covering your air ducts, cracking your windows for proper ventilation, and wearing face masks when you’re near the construction area. Dust can become trapped in your home, so you should try to circulate air as much as you can so the dust leaves your home through open windows or doors. Block off rooms near the staircase to keep the dust from entering, and do a thorough sweep after the project is done. Fine dust that lingers in the air impacts the quality of your home’s air. You may want to temporarily use an air purifier in your home to improve the air quality. At S&A Stairs, our goal is to make the entire custom staircase project as seamless as possible. By partnering with you every step of the way, you can help us streamline the project by getting your home prepared ahead of time. We’ve been at the forefront of custom staircase designs for decades, and we’re ready to help you transform your home with a stunning custom design. Get in touch with the team at S&A Stairs for more information or to set up your design consultation. In most homes and buildings the staircase is one of the biggest decorative features in a room. Staircases are big and take up lots of visual space. Modern staircases designed by S&A Stairs are also so beautiful you just cannot help but marvel at these creations. As a major attraction feature or decorative element in your home or building, it is the one area that you probably want to keep clean. This is after all the one area in your home or building where everyone will immediately notice dirt and tilth. Staircases are not the easiest to keep clean. Everyone uses the staircase and little children just cannot get enough of these areas in your home. The vertical design and all of those steps and delicate balustrades sure do take a lot of time to clean. Here is a quick guide to help you care for and properly clean different staircase materials. Glass balustrades are at the top of our list because they are so popular in modern staircase designs yet so challenging to keep clean in public areas. The moment someone lays a greasy or dirty hand on your balustrades the markings will be visible. To properly clean glass balustrades, grab a bucket and create a mixture of warm water and dishwashing soap. Sponge your balustrades and be sure to remove any stubborn dirt. It is best to dry these balustrades using a squeegee or by polishing your windows with fumbled newspaper pages. These are the only two materials that won’t result in streaking on your windows. For the biggest part you can simply sweep or vacuum your staircase but if the wooden steps become too messy then grab warm water and dishwashing liquid mixture and dampen your mop before wiping the steps clean. You can also buff your steps with a cloth if you want a good shine. Wooden steps look and fare much better if they are treated with wood wax. Once your steps are dry you should grab a cloth and oil those steps using a furniture wax in order to keep the wood beautiful and healthy. Wooden balustrades are usually decoratively carved which makes them quite hard to clean. You can use a mixture of hot water and dishwashing liquid and dampen a cloth to wipe clean your wooden balustrades. Be sure to clean between grooves because this is the area where dust usually settles. Use a wood furniture spray to polish and gleam your balustrades so the wood will keep from drying out. Iron and steel staircase materials are a true blessing because they are so easy to keep clean. These materials are highly durable which means you can go ahead and use any type of cleaning product on them. The chemicals are unlikely to affect the steel and you can give sticky and stubborn messes with a good scrub without harming the materials. And unless your steel materials are painted, you never have to maintain it because steel requires no polishers. Just a bit of elbow grease and your materials will look brilliant. If your staircase balustrades are covered in a coat of paint then you will need to freshen up the paint every few years. Give your painted surfaces a proper wipe down to remove oils before adding a fresh coat of paint and keep painted surfaces clean by wiping down these surfaces regularly. Carpet staircase steps are no longer in fashion because they are so hard to keep clean. But there are some people that prefer to add a carpet to the staircase steps. To keep these clean you need to vacuum every few days, brush pet furs off regularly and deep wash your staircase using a carpet washer every few months. Do you need more cleaning advice for your staircases? We welcome you to give our stair experts at S&A Stairs a call. We are always happy to hear from our customers and are willing to share all the best tips to keep your staircase clean and in great condition. 2019 is finally here which means that our company has officially been designing, making and installing staircases for 99 years! We are definitely looking forward to 2020 when our staircase designers can celebrate a century of designing the finest quality staircases in Australia. The new year is bound to be packed with lots of exciting changes and opportunities. This year is also going to be the best time for you to build a brand new staircase for your building. With ten decades of experience, you can bet that our staircase construction teams can get you the finest quality and style staircase to be found. Modern staircases are quite diverse. There are more types to choose from today than ever before and our staircase designers can even custom design your staircase so it will be truly unique and different from any other staircase you have ever seen. The following top staircase types are certainly terrific picks for your home or building in 2019 because these look the best by far, they are efficient and durable in design. Modern living is all about making the most out of every square inch you have to your disposal. Spiral staircases are our top pick for the best staircase types of 2019 because they can be installed anywhere in a home and these staircases take up so little space. They also provide an elegant feel and serves as a very attractive feature in any room. Straight staircases do take up a bit more space than spiral staircase designs but these are also a top pick for 2019 because they are the easiest to ascend or descend. 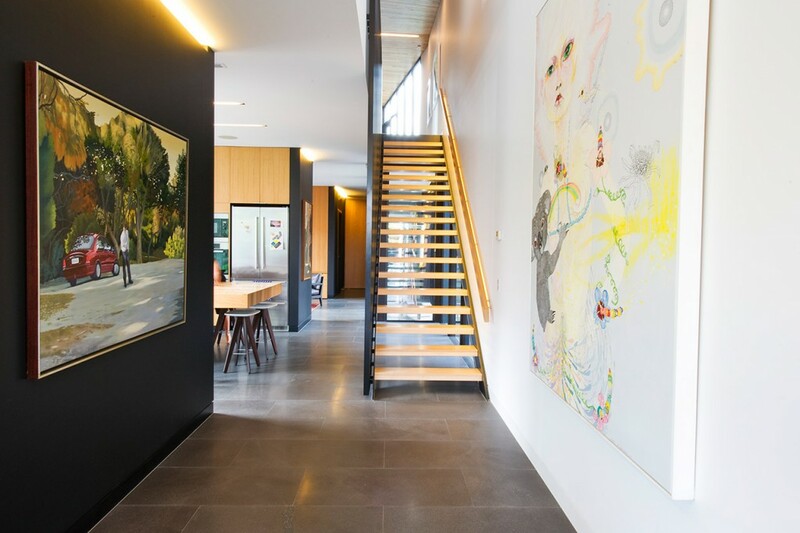 When these staircases are combined with modern elements such as wired balustrades, chrome handrails and open steps they also provide a contemporary, open and spacious feel. Glass is very popular amongst modern home trends and that is exactly why any staircase with these types of balustrades should be a terrific investment this year. The glass naturally gives an open, modern and luxurious feel. Glass is also associated with green living and minimalism since it is a biodegradable eco-friendly product. Staircases with glass balustrades certainly a wise investment for homes with a modern vibe, for homes with outdoor-indoor integrated spaces and for businesses with plenty of glass partitions offices. The curved staircase is also a terrific pick for 2019. They might not be as space saving as spiral staircases but they are just as easy to ascend and descend as straight staircases. The curved design enhances a feel of elegance and charm that spiral staircases are usually responsible for. These staircases can be designed in classic styles with wooden balustrades but a more popular design for our modern time is contemporary accents of steel, chrome, wire, and timber. Closed step staircases are mostly associated with traditional staircase designs. Modern trends do however favor staircases with open steps. The natural light that beams through the steps makes it easier to see and these staircases are often more affordable since they don’t require as many materials as closed step staircases. Steel products such as wrought iron and chrome or stainless steel are very popular in our modern age. These materials are also pretty functional in staircases because they are easy to maintain, highly durable and incredibly strong. Staircase designs with lots of steel features such as steel balustrades and chrome handrails tend to look more modern or contemporary. If you are looking for a modern type of staircase then you can definitely consider something with lots of steel touches. At S&A Stairs we can help you create your dream home with our quality staircase designs. Our teams can help you achieve any type of look or style you need and we can most certainly assist with any of these top staircase types from establishing the right design for your property through to installation. Glass is one of the best and most versatile home construction and decor materials. It is believed that the art of glassmaking was discovered over 4,000 years ago in Mesopotamia and the Roman Pliny is one of that went on to develop the art even further. Today you can find glassware in just about every building, kitchen and structure in existence. The use of glassware is also favoured for its renewable and eco-friendly qualities. Glass is made of sand. It is one of the only products in the world that takes nothing from earth’s natural resources and leaves nothing extra behind. If you are looking for a terrific and eco-friendly way to remodel your home or improve your staircase design then you should definitely look into glass balustrades. These glass railings are perfect for use in staircase designs because it provides your staircase with plenty of terrific benefits like the following. Dark staircases are dangerous because it is a lot easier to lose your foothold if you cannot see the steps properly. Glass balustrades allow natural light to flow through the railings and reach your steps without casting any shadows. Your staircase naturally becomes lighter which reduces your need for artificial lighting. Glass balustrades are made of a thick tempered glass that isn’t likely to shatter or break. These types of balustrades will certainly keep you, pets and small children from falling off the edge of your staircases. More natural lighting also reduces the chances of tumbling downstairs because you can see each step clearly. At S&A Stairs we invest quite a lot of time in developing staircases that look brilliant and with glass balustrades, you can marvel at the beautiful design, colours and textures of your staircase steps without anything blocking off your view. Glass naturally creates a modern yet luxurious vibe. These types of railings certainly will enhance the style of your staircase dramatically. These balustrades are pretty easy and affordable to maintain since you only need to keep them clean to keep them in great condition at all times. Glass is eco-friendly and perfectly safe in your home and to the environment. While these beautiful balustrades offer plenty of terrific benefits there are a few cons you need to be aware of before you buy them. Here are the few cons of these types of staircase balustrades. Like all types of glass doors, panels and windows, your glass balustrades will require frequent washing and cleaning to maintain a beautiful, transparent appearance. Glass also isn’t the easiest thing to clean. You do need to use the right cleaning agent and technique or your staircase will be streaked and covered in strokes and spots. Standard balustrades like timber, steel, and others are often a lot more affordable than your glass balustrades. These beautiful, thick tempered sheets don’t come cheap but you definitely get what you pay for! Staircases aren’t exactly known for being a private space but some can feel a bit out in the open while climbing up and down these staircases in comparison to other opaque materials. This is actually a benefit when it comes to families with small children, though, as your little ones are less likely to be playing on a tall, dangerous staircase on your watch! Looking into glass balustrade designs? S&A Stairs can help you develop a beautiful design and can professionally install these gorgeous balustrades for you. With our experts on your side, you’ll receive support in tailoring the right design to your property and can be assured your new staircase will be installed safely and soundly. Australia’s National Construction Code (NCC) Volume 1 was last drafted in 2016 and includes the standard for all commercial staircase builds here in Victoria. Every set of stairs that we construct must meet these safety standards and regulations, otherwise, the project may need to be started completely over. Therefore, the team at S&A Stairs must be well-versed in Australian construction regulations and requirements. Whether you’re constructing a new staircase for your home or for your business, the staircase needs to meet national and local construction standards. Here’s what you need to know about commercial and residential staircase regulations here in Victoria and how S&A Stairs can help. Safety is paramount when designing a custom staircase. As the risers and treads come directly in contact with someone who is stepping on the stairs, strict guidelines are in place to help protect those that are using the stairs. Failure to comply with these regulations could lead to serious injury and severe penalties. The NCC stipulates that staircases cannot have more than 18 risers in a single flight of stairs. A flight is a singular, linear set of stairs that is not broken up by a landing. If you design a custom staircase that doubles back on itself separated by a landing, you can have more than 18 risers between the two sections of stairs, but not more than 18 in any one section of the staircase. The reason for the riser limit in a singular stretch of stairs is to reduce the risk of serious injury in case of a fall. In addition to the limit on the number of risers, the size of the risers and treads must be consistent throughout the entire staircase. While there would not necessarily be any functional or aesthetic need for treads and risers constructed in multiple sizes, keeping a consistent size is part of the NCC. Handrails provide support and stability to everyone that uses the stairs, and a handrail is required for all commercial and residential staircases. With regards to balustrades, the gap between individual posts in the balustrade must not exceed 125 millimetres, regardless of whether the gap is vertical or horizontal. A common balustrade design that we’ve seen across Australia is using reinforced stainless steel wiring run horizontally, parallel with the handrail. This is a great way to capture a minimalist design, but you also need to be aware of the 125 millimetre regulation. Before construction on a custom staircase even begins, we always recommend having the plans reviewed by your local council. The local review committee will review the plans and either approve or deny the plans based on NCC regulations. If your plans are denied, they will notify you with what changes need to be made in order be up to code. We’ve been designing beautiful custom staircases for homes and businesses in the area for decades, so we are very familiar with NCC regulations and always craft our staircases with safety in mind. Starting a custom staircase project can be overwhelming, but when you partner with S&A Stairs, it doesn’t have to be. We can help you navigate construction code and design the staircase of your dreams. Whether you need a custom residential staircase or an upgrade to your business space, we are here to help. Trust in us to get the job done right the first time. Contact the custom staircase experts at S&A Stairs to get started on your custom design today. Even with rigorous upkeep and maintenance, there may come a time when your staircase becomes damaged or worn down. Natural wear and tear will happen over time and barring any extreme situations, light damage is a natural part of using your staircase over the years. Fortunately, there are some simple things that you can do to quickly repair any damage that your staircase endures without spending a ton of money on professional repairs and upgrades. At S&A Stairs, we manufacture high-end custom stairs for homes and businesses in the area. From simple, traditional staircases to complex, modern staircases, we have the skills and expertise to design and create the staircase of your dreams. Here are some easy DIY staircase repairs that you can try out today to make your staircase look brand new. Depending on the material of your staircase, your treads can become worn after consistent use. Timber is a common tread material and can easily become worn down if you have heavy traffic in your home. While worn down treads may look bad, they’re relatively easy to fix and update. The first step in a tread repair is to sand down all of your treads to make them even and smooth. After wiping away the sawdust, simply stain and seal the treads again to make your treads look brand new. All you need is an electric sander, stain, sealant, and a few hours to complete the project. Handrails are an essential safety feature and need to be maintained in order to provide maximum safety and support. Depending on what material you used for your handrail, there are plenty of ways to repair and restore your handrails. Metal handrails may simply need a quick scrub and polish to make them look new. Wooden handrails can become worn down after continued use. Just like treads, you can sand, stain, and seal your wooden handrail to make it look brand new. Handrails need to be secured to your baluster or to your wall, so you should regularly check your handrail for loose brackets and screws. Make sure your handrail is securely fastened to your baluster or wall before continued use. Balustrades can be wood, metal, or glass. While baluster damage is not common, there are some things you can do to fix normal wear and tear when it does occur. Wrought iron balustrades can become tarnished if not regularly polished. Glass will smudge and look dirty without regular cleanings. Aside from regular upkeep, balustrades can also become loose after heavy use. Balustrades are one of the more complex parts of your staircase, but that doesn’t mean at-home repairs have to be complex. Using chemical-free cleaners, regular cleaning schedules, and rigorous upkeep will keep your staircase looking new. Updating the look of your staircase is a simple and effective way to upgrade your entire home. A simple coat of paint, new finishings, or even new surface materials are simple, cost-effective ways to change the way your staircase looks and feels. Even if your staircase isn’t damaged, there are simple things that you can do to make your staircase last even longer. These tips and tricks are great for cosmetic damage that naturally happens when your staircase is used over the years. If your staircase is severely damaged, it may need to be replaced entirely. That’s where our team of skilled designers come in. Offering custom designs that you’ll love, we have just what you need to upgrade your home. For high-end, handcrafted staircases designed for your exact space, contact the team at S&A Stairs today. Whether you have a traditional or modern staircase, a wooden staircase is often a striking centrepiece of your home. The more people that use the staircase, the higher chance that your staircase is going to become dirty, or even damaged. Without proper upkeep and maintenance, your staircase can become permanently damaged. At S&A Stairs, we not only provide high-quality, custom staircases, but we also provide practical tips and tricks when it comes to maintaining your staircase for years to come. Because wood can be a sensitive material, here are the top maintenance and upkeep tips that you should use to make your staircase look like new. One of the most important ways to maintain your wooden staircase is to simply clean your staircase regularly. Making your staircase a part of your regular cleaning routine is a simple and effective way to make your staircase last longer. Be sure to dust in all the nooks and crannies of your staircase to protect the wood finish, remove any debris from your stairs that may have been tracked indoors, and tidy up any landing spaces at the top and bottom of your staircase to prevent any injuries. If something is spilled on your wooden staircase, clean it up immediately to prevent permanent damage. Liquids that aren’t immediately cleaned up can soak into the wood, which ruins the finish and often warps the wood itself. The finish is part of the protective coating that keeps the stairs damage-free, and if the finish is destroyed, it means there’s a much higher chance for additional damage. It takes just a few moments to clean up liquid that has spilled or been tracked in from the outdoors, but those few moments can make all the difference in the lifespan of your staircase. One of the biggest mistakes that many homeowners make when they clean is using harsh chemicals throughout the house. Many store-bought cleaning solutions are extremely harsh and can actually damage many surfaces if you’re not careful. If you use the wrong cleaning solution on your wooden stairs, the wax and finish can be completely stripped off. Simple soap and water can do the trick if used in small amounts and dried up with a cloth afterwards. If you insist on using a store-bought cleaning solution, test the solution in an inconspicuous area of your staircase to test how it impacts your wood. That way, if it does damage the wood, it’s in a place where nobody will notice. Regardless of how well you maintain your staircase, there are eventually going to be dents, dings, and scratches on the surface of the wood. Fortunately, these issues are often easy to repair if detected early. Simply apply wax or finish to the area to cover up any dents or scratches. It’s important to repair any imperfections as early as possible to avoid further permanent damage. A simple staircase runner can be extremely effective at protecting your staircase from the wear and tear of daily use. Rugs at the top and bottom of your staircase, as well as any landings, also help prevent damage to the wood. Paired with regular cleaning, these types of protection keep your wooden staircase looking new and beautiful for years. We know how important it is to keep your home looking brand new. Whether you have a custom-built staircase or simply want to make your home look great, these tips are easy, effective ways to properly maintain your wooden staircase. The type of balustrades you choose for your indoor or outdoor staircase can have a huge impact on the aesthetics, safety, and style of your staircase and can also affect the room or building's style. It is incredibly important to choose the correct type of balustrades because staircases are always a major focal point inside any room and outside the building. This is mostly because staircases take up a lot of visual space but also because staircases are always interesting and beautiful features in any type of building. Here are the top things to consider while you are choosing the best and most beautiful balustrades for your staircase. Staircases are dangerous. One single stumble as you climb a steep staircase could be catastrophic or even fatal. It is incredibly important to choose a secure balustrade that will enhance the safety of your staircases, especially when seniors, those with mobility issues and children will be using the staircase. Glass and wire balustrades are beautiful and will certainly keep even the smallest child from tipping through the spaces but don’t have too much grabbing space where a child can grip onto. Timber balustrades are beautiful and pretty sturdy but the strongest and probably safest balustrade of all are steel and stainless steel balustrades. You will be surprised at just how dirty balustrades and more specifically handrails can get when lots of people are going up and down the staircase. It is important to give your handrails and balustrades a regular clean to keep them looking great and to keep germs at bay. Glass balustrades with their beautiful clean and open look sure are breathtaking but aren’t a suitable balustrade for areas with lots of children such as schools and homes. The glass will be a nightmare to keep clean in the long run. These are, however perfect for corporate buildings where no one is likely to touch the glass. Wired, steel and stainless steel balustrades are easy to keep clean and you can use any type of cleaning agent without damaging the material. Wooden balustrades are also pretty easy to keep clean but you should be careful not to use harsh chemicals on these as they can get stained. The balustrades with lowest maintenance requirement are probably stainless steel, wire, and glass because all they need is occasional cleaning and will remain in perfect condition as time goes on. Steel balustrades might require a top coat of paint after a few years of use. Timber balustrades have the highest maintenance requirement since you need to treat the natural wood to keep it in terrific condition. All products used by S&A Stairs are made of premium quality materials which mean that you will enjoy terrific durability from all of our products. Even our timber balustrades can last many decades if you take good care of them. For balustrades that last as long as you need them, all you need to do is to buy from a reputable supplier like ours. The type of balustrades you choose can have a huge impact on the overall look and aesthetics of your staircase. Take careful consideration when choosing your balustrades and keep your building style in mind when you select. Timber balustrades and even some steel balustrades are divine for classic types of homes but steel, wired, stainless and glass fit much better in the modern, contemporary and artistic building types. At S&A Stairs we have a wide range of balustrade designs and types to choose from which means that you can definitely choose a type that you like that will still fulfill all of your safety, cleaning, maintenance and durability requirements. Need some help in choosing the perfect balustrade? Then give our offices a call right now. Our staircase designers are more than happy to assist you in finding the perfect balustrades for your custom staircase. 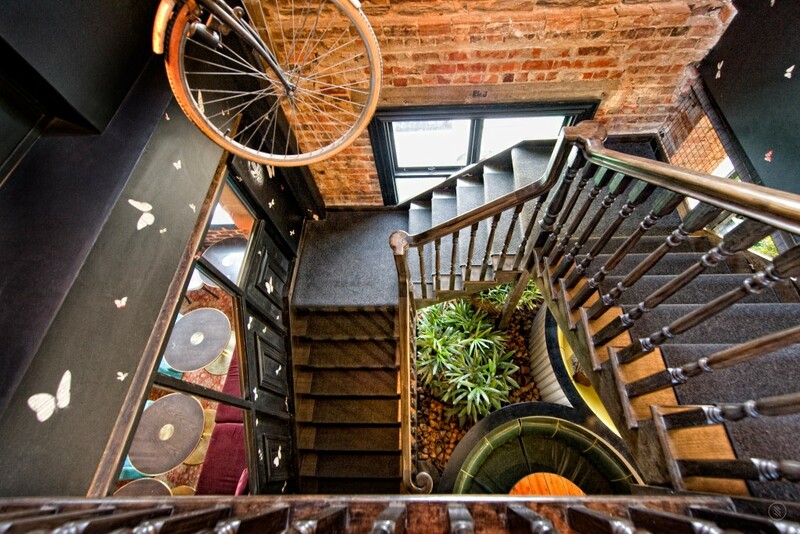 Are you still brainstorming the best staircase design for your building? Well, you do have your work cut out for you because modern staircase designs are more diverse than ever before and you can choose from an increasingly wide range of staircase types. This is excellent because it enables design teams to install a staircase in virtually any room or location and it gives building owners much more flexibility and functionality since they can save space and create beautiful eye catching staircases that focuses the eye on these brilliant designs. At S&A Stairs, our custom staircase designs are even more versatile because we have a wide range of different types of staircase products that we can combine to help you create a completely unique staircase for your building. You can choose from a wide variety of post types, handrail types, accessories, balustrades and even a wide range of step types to customise the main design type of your staircase exactly the way you need it. Here are the top staircase design types to consider for your building. Straight staircases are the most common types found in the world. These are easy to climb, easy to build and only need to be connected at the top and bottom which means you can create freestanding types. These staircases can be customised by using different types of materials, accessories, steps, and balustrades and you can even include a central landing space in the middle of the staircase to ease the climb. Straight staircases are functional and beautiful but are hardly the most thrilling type of staircase to consider for your building. These are also called quarter turn stairs and are often installed in a corner of a room. The staircase consists of a landing space followed by a 90-degree bend. You can choose to install your landing space anywhere along the staircase and can customise the staircase any way you like. These staircases are often easier to climb. These staircases are much like L-shape staircases but consist of a 180-degree landing extension. The staircases are pretty safe thanks to the rest spot on the landing space and don’t take up as much room as a normal straight staircase would. Some U shaped staircases consist of two 90 degree landing spaces with steps between them to ease the climb. These stairs look a lot like the L-shape staircases but instead of a flat landing space, these stairs have triangular steps to allow the 90% corner transition. These steps are relatively easy to install and are best suited in the corner of a room however you can get it installed centrally. Spiral staircases are probably the most beautiful, unique and sought after staircase types. The design of this staircase lends a sense of elegance and charm. These steps are also fairly easy to climb and are usually constructed around a single round pole. These types of staircases do however make it challenging to carry things and especially heavy and bulky items up and down the stairs. These staircase types are also beautiful and are perfect for businesses thanks to the elegance of these staircase types. The staircase basically just curves upward instead of heading up in a straight line and the result is a lot softer. These are the most uncomfortable to climb but they are functional, especially considering their price. These staircases are mostly used outdoors or as a temporary solution but if you have your heart set on this staircase inside the building then you can always give this one a try. For more information on our brilliant staircases, please give S&A Stairs call right now. S&A Stairs have been designing, constructing and installing staircases for over 98 years and with all of this experience, you can bet that there isn’t a type of railing we haven’t used in our business. In almost 10 decades we truly have used, tried and mastered all the different types and styles of handrails and we have to agree that metal railings are some of the best types to consider for your custom stairs. If you haven’t decided on the best railing for your staircase or have some trouble with choosing then we can tell you, you certainly won’t be making a mistake when you go with metal. In fact, we often advise our customers that when in doubt, go with metal because it is one of the railings with the most benefits. Here are the top benefits you will enjoy when you also decide on this railing type for your custom-made staircase. In handrails, strength is a top priority. This is, after all, the grip onto which you grab whenever you lose your foothold and everyone with a mobility issue will put their full weight on these railings every time they go up and down the staircase. Choosing a strong material for your handrails is critical if you want to create a secure staircase and there are few handrail types as tough as stainless steel. Stainless steel is one of the most durable materials in existence and as such, is probably one of the best picks for your staircase. This type of handrail can easily exceed the life expectancy of wooden handrails as long as the metal is protected against rusting. Stainless steel is pretty easy to maintain. When the stainless steel handrails are properly sealed with a protective layer of rust-proof paint, you won’t have to repaint your handrails for many years to come. They will stay in perfect shape through the years and will only need the occasional clean and dust. When you have a lot of people rushing up and down your staircase, you will have to get that handrail cleaned frequently in order to prevent the spread of germs and diseases. Metal is pretty easy to keep clean because you can use just about any cleaning product or disinfectant under the sun on these handrails without damaging it. You can even give your handrail a good scrub to remove stubborn messes without damaging the surface. Stainless steel is cost-effective, especially compared to fine quality wooden railings but this is hardly the only thing that makes this an affordable solution. They are also easier and quicker to install. It is one of the more affordable handrail solutions and will last indefinitely due to the strength and durability of this type of material. Stainless steel is pretty easy to install on different and unique staircase designs because it is flexible. These handrails can be bent and shaped into a desired shape by heating it. Our designers can perform a flawless smooth handrail installation on even the most unique and complex staircase types including spiral staircases and you will still enjoy something sleek, spectacular, functional and beautiful. A stainless steel handrail with the right design and finish will add lots of aesthetic appeal to your custom designed staircase. The finish is suitable for various decorating trends such as modern, contemporary, artistic and more. Stainless steel is flexible and can be installed in a great variety of styles and designs. Our designers can create something uniform or combine your handrails with various metal art effects for a very unique and interesting look. Are you interested in a unique and beautiful stainless steel handrail? Then speak to our designers at S&A Stairs and we will help you design and install the perfect handrail. Timber is a timeless classic when it comes to home design. From framework to finishing touches, timber is a robust, versatile material that works well in virtually any home. The same is true for staircases. Timber can be used in elegant, traditional staircases, but it can also be used in ultra-modern staircase designs. We wanted to highlight the true versatility that timber has to offer by showing you some of the top staircase designs that can easily use timber. Here are those top timber staircase designs and why you may want to consider a custom timber staircase for your next staircase project. The first staircase that many homeowners think of when they think of timber is a traditional staircase design. Timber has been used in staircases for generations, which is why it is often tied to traditional styles. These classic designs are as elegant as they are functional, and are always a great option for any home. If you can, try to avoid installing carpet on your staircase. A beautiful rich wood such as oak or cherry is a great standalone material for your staircase. An all-timber staircase works well in a brand new home and can tie together both traditional and modern designs. A floating staircase made entirely out of timber is a unique and elegant way to transform your home. The timber adds a traditional element to a modern design. Floating staircases allow natural light to pass through the staircase and into the rest of your home, giving your home an open, inviting feeling. Treads secured to the wall and supported by a central stringer provide a minimalist design that everyone will love. Add a modern metal handrail or a glass barrier for added security and elegance. Spiral staircases are timeless. While they are traditionally made of iron or other metals, we can design a custom wooden spiral staircase for your home. Curved wooden staircases are often large, gently curving staircases in open spaces. A spiral staircase is a tight curve that is much more vertical than any other stair design. Choosing a spiral staircase is a great way to save on space without sacrificing style. Using a deep wood can create an interesting focal point for your home. Regardless of the overall structure and design of the staircase, we always recommend using open risers on stairs if you can. Open risers make staircases less obstructive and more like functional art in your home. As we mentioned, an open riser allows light to pass through the staircase rather than being blocked off. You may not realise it, but a traditional staircase can greatly hinder the amount of natural light in your home. By simply updating your staircase to have open risers, you can completely change the look of your home for the better. Timberis timeless and elegant, but it can also be used even in the most modern of staircase designs. The trick is to use timber in such a way that it doesn’t date your home or look out of place in a modern design. We can help you choose the right blend of materials to make the most out of your staircase. We are passionate about building exceptional staircases for our clients. While many homeowners may choose metal and glass for their modern staircase designs, we love using timber to blend contemporary and modern style. Check out some of our latest projects online or contact a member of the S&A Stairs design team to get started on your staircase upgrade today. Is a Custom Staircase Right for Me? If your home needs an upgrade and you want to make the most impact with your budget, consider upgrading your staircase to a custom staircase. Most homeowners don’t consider changing their staircase because they believe it’s expensive, or they simply believe it’s not possible. A custom staircase is one of the most transformative home renovations available. From improved lighting to an updated style, there are plenty of reasons to upgrade your staircase. Here’s why a custom staircase may be right for you and your home. S&A Stairs partners with you from start to finish. We will have a one on one consultation with you about your custom staircase design, where you’ll have full control over the look of your staircase. We can guide you with suggested materials and styles that might work better with your home, but you’ll have full creative control. A custom staircase allows you to express your creativity in a unique and impactful way. Your staircase is an integral part of your home, and it can also become an integral part of your style. Staircases don’t have to be solely functional, they can also be striking pieces of art. While the most popular home renovations are a home’s bathroom or kitchen, a custom staircase can have a lasting impact on the overall look and feel of the home. A staircase is often one of the first things that you see when you enter a home, which means it may be the aspect of your home on which guests base their opinions. A staircase is a functional part of your home, and you may have countless guests go up and down your stairs over the course of time. Kitchen and bathroom renovations are always a smart move, but a staircase renovation can truly transform your home. The staircase pulls together the style and design of your home’s various floors, and a custom staircase design elevates your entire home’s design. Not only do custom staircases serve a functional purpose and provide aesthetic appeal, but they can actually increase the value of your home when it comes time to sell. Most homes have traditional staircases, which don’t necessarily add any appeal or resale value. When you invest in a custom staircase, you’re adding a unique focal point to your home, which means more interested buyers when you want to sell your home. Custom staircases can be truly breathtaking. Many traditional staircases are made of dense, heavy wood, which means they often block a lot of the natural light that enters your home. A custom staircase with open risers or one that uses glass can open up your home and allow more light to pass through the space. The space around your stairs can be dark because of how much light stairs block. With a custom staircase, you can truly transform the look of your home and impress your friends and family. Finally, a custom staircase lets you showcase your true personality. Since you’re in complete control of your custom staircase project, you’ll be able to put your true creativity into the design. It’s often said that a home reflects the homeowner’s personality, and the same can be said of a custom staircase. We’ve been designing, building, and installing exceptional custom staircases for years and we would love to help you with your next staircase project. Let us show you the true value of a custom staircase. For more information on our design choices or to start your custom staircase project, contact one of our design experts today. When it comes to selecting material for your new staircase, there are plenty of reasons why many homeowners are opting for timber. Not only does timber provide your spaces with a sense of warmth, they are easily able to compliment any type of decor and make a great first impression. Timber has long been a staple material for home construction. However, the timber can vary depending on the region and availability. However, if you are looking for the best types of timber to use for your next staircase project, you cannot go past hardwood. Hardwoods are extremely durable and long-lasting and depending on the species can range from yellow golden hues to burnt sienna and dark brown. Wooden staircases add warmth and beauty to any space with their different colours and textures and can be designed in several ways that include modern, traditional, commercial and architectural. But what species of timber will work for your staircase? This is a question that we are asked by almost all of our potential clients so we have compiled the following list to provide a bit of an idea on what timbers many of our clients opt for. Is a species of hardwood originating from Victoria. The appearance of this beautiful timber can range from pale pink right through to a yellowish-brown colour. This type of timber typically features waviness and gum veins. It is particularly popular in the use of staircases because it is beautiful, strong, warm and hard wearing, and with it’s naturally blonde hues, it has the ability to be stained to any colour you wish. Originates from coastal New South Wales into the Queensland border. The appearance of Spotted Gum varies from a light coffee brown to a dark brunette in colour. This species of timber is available in a gorgeous colour palette with an attractive wavy grain. Spotted Gum is often used for engineering applications including framing, flooring, cladding and decking. This species have straight, slender trunks with a smooth outer bark layer that sheds in a range of areas - thus far giving it the spotted characteristics. Is a very versatile wood species and ideal to be used for any staircase component from the posts to the stringers. It is also one of the two most commonly used for indoor staircases. Pine timber is typically a pale yellow colour, offering a grain pattern that is again lighter than the rest of the wood. Unlike most other timbers, pine is usually carpeted over of left in its natural state, and due to it being more porous than say oak, Pine is the preferred wood for stairs to be painted. Merbau is derived largely from South East Asia, but also available from northern Queensland and is often featured in outdoor furniture and internally for a range of flooring and joinery projects. This stunning species of wood is often yellow-orange brown in colour and deepens to a red with ageing. Merbau is a versatile wood that responds well to hand tools and is quite often found in specialised projects such as cabinet making, musical instruments, boat buildings and wood carvings. Why Use S&A Stairs for Your Next Staircase Project. The expert team at S&A Stairs has a vibrant history within Australia of shaping staircase trends, and we would love the opportunity to assist you with your next commercial or residential staircase project. For further information, contact us today to arrange a consultation. You can also view our past projects on our website for design inspiration and colour trends. The holiday season is just around the corner, which means it’s time to start planning your holiday decorations on your custom staircase from S&A Stairs. Your staircase may be the centrepiece of your home and could be the first thing your guests see when they arrive, but even if it’s not, we always recommend decorating your staircase for Christmas. Most homeowners only decorate the first floor for the holidays, but going a little further and decorating your staircase can add elegance and sophistication to your holiday decorations. Here are some simple ways that you can decorate your staircase this holiday season. While you should always be mindful of clutter on your stairs, your treads can be the perfect surface for lining small decorations up your staircase. Miniature Christmas trees, nutcrackers, and other festive decorations can be placed on either side of your treads, adding symmetry to your holiday decorations. Decorating your stairs creates a warm and inviting feeling for the holidays, and while you may not decorate your second floor, decorating your stairs adds depth to your overall holiday decor. Handrails are the perfect place to wind garland this holiday season. Be sure to leave enough room to securely grab on to the handrail as you’re going up and down the staircase. The posts at the top and the bottom of your stairs are excellent foundations for your staircase decorations. Spruce up your garland with ornaments and ribbon for even more fun. Similar to handrail decorations, your balustrades give you the perfect foundation for even more decorations throughout your staircase. Ribbons, tinsel, and garland are all ideal for balustrade decorations. Adding lighting to your balustrades can fill your space with beautiful mood lighting. Lighting is one of the best ways to add holiday cheer to your decorations. Whether it’s a simple strand of lights or a new lighting installation over your staircase, there’s plenty you can do with light to spruce up your decorations. Use lights throughout your garland that’s wrapped around your handrail, or pair lights with ribbons for a unique look. You can also use electronic candles to line the stairs leading up to your second floor for an even more creative and festive look. Staircases are the perfect place to display stunning holiday wreaths. Place a large elaborate wreath at the base of your stairs on the post, or line your handrail and balustrades with small wreaths with lights and ornaments. Match your indoor wreaths with wreaths you may use outdoors to create one beautiful look for your entire home. Don’t have a fireplace? Your staircase is the perfect place to line your stockings. Not only do the stockings add fun decorations to your staircase, but the staircase is a practical place to keep your stockings throughout the holidays. The handrail or balustrades will provide more than enough support to hold your entire family’s stockings, and choosing the stairs for your stockings is something unique that not many others do. As you can see, there are tons of ways that you can decorate your beautiful custom staircase this festive season. Whether you want something simple or you want something elaborate, holiday decorations will help make your stunning new staircase even more spectacular than it already is. No matter what you need, the design team at S&A Stairs can help. We’ve been designing and installing stunning residential and commercial staircases in the Melbourne area for decades, and we know we can exceed your expectations for your next project. For more information on what we can do for you, contact us today. Depending on the design and structure of your custom staircase, there may be specific safety tips and requirements that you need to know to keep you and your family safe. For example, there are different safety tips for a floating staircase than there would be for a traditional staircase. However, there are some staircase safety tips that are truly universal. We believe in staircase safety and always discuss safety issues with our clients. Whether you are installing an industrial commercial staircase or a new custom staircase in your home, safety is one of our top concerns. Here are some of our top safety tips for your custom staircase. Falls account for many household injuries in Australia, many of which happen on the stairs. When your stairs are cluttered, the chances of you or someone in your home falling are greatly increased. If you have a family with small children, you know how difficult it can be to keep your home clutter-free. Even if the rest of your home is not clutter-free, your staircase should always be. If you are installing a new custom staircase, consider a staircase with additional storage lining the stairs or a landing where you can place additional storage bins. When you do come across clutter on your stairs, you’ll have quick access to clean up the clutter and keep your family safe. While this point may seem obvious, we can’t stress enough the importance of keeping your staircase clutter-free. Many local building ordinances require a handrail, but even if yours does not, you should always install a handrail to keep your friends and family safe on your stairs. A handrail allows guests to hold on to something secure when they are going up and down the stairs, making the staircase much safer. When someone goes up a new staircase for the first time, they can often misjudge the riser height. One misstep without a handrail can prove disastrous. Handrails also provide some structural support as well, and create unity from the top of your stairs to another. Even if you think you don’t need a handrail, we always recommend installing one even if local ordinances do not require one. Runners and rugs either at the bottom of your stairs, on landings, or on the stairs themselves need to be secured before anyone uses your stairs. If your runner becomes bunched on the stairs, someone using the stairs can very easily trip over the runner and seriously injure themselves. Regardless of whether you’re going up or down the stairs, a fall can be extremely dangerous. One of the most important factors when it comes to staircase safety is having sufficient lighting throughout the area where your staircase is located. Whether it’s lamps, overhead lights, or natural light, you need to have enough light so everyone can clearly see where they are stepping, regardless of the time of day. Poor lighting can easily cause someone to lose their footing and fall, especially on a new custom staircase installation. Always install ample lighting and a switch at the top and the bottom of your stairs to easily turn lighting on and off. At S&A Stairs, we take your staircase safety very seriously. During our initial design consultation, our team will point out any obvious safety concerns and will suggest various ways to remedy those concerns. For more tips on staircase safety or to start planning your new custom staircase design, contact our team today. When you have a custom staircase built for your home or business, you’re going to want to do everything you can to keep your staircase clean and looking brand new. Keeping your staircase clean is not only important for making your staircase look new, but also for elongating the life of your staircase. While you may think that cleaning every staircase is going to be the same, there are some important considerations when you clean your custom staircase. At S&A Stairs, we build one of a kind stairs that require extra care when cleaning. We want your stairs to last a lifetime and beyond, and much of that has to do with how the staircase is maintained. Here are some things to consider when you clean your custom staircase. You aren’t going to clean metal the same way that you would clean wood. Consider the material or materials of your staircase before you start your cleaning project. Cleaning wooden stairs requires a little extra time and effort when compared to cleaning metal staircases. While wood is naturally durable, it is more susceptible to wear and tear than metal. When you clean wood, sweep your stairs from top to bottom to thoroughly remove any dust and debris from your staircase. When you clean metal stairs, you may only need to lightly dust the metal to remove dirt and grime. When you’re considering your materials on your staircase, there are specific cleaning supplies that you can and cannot use on your staircase. Using the wrong cleaning supplies can cause damage to your staircase, which not only impacts the overall look of your space, but the repairs can be costly. Regardless of what material you are cleaning, never use harsh chemicals on your custom staircase. The best cleaning solution you can use for wood is actually water. After sweeping and dusting the wood on your staircase, wipe down the wood with a damp cloth. Dry the wood immediately after to prevent damage. There are some cleaning materials that can be so harsh that they corrode metal. While some cleaning solutions may warn you against using them on metal, we caution you from using harsh chemicals anywhere near your staircase. Using the incorrect cleaning solutions can cause irreparable damage to your staircase. Do’s and Don’ts of Cleaning. It’s one thing to thoroughly clean your custom staircase, it’s another thing to continually maintain a clean staircase. A custom staircase can be a substantial investment, and keeping on top of the cleaning will make sure your custom staircase lasts as long as it possibly can. A custom staircase is a striking feature in any home or business. When you invest the time and money into a custom staircase, you also need to invest the time after the staircase is involved to properly clean and maintain it. Whether that’s regular light cleanings or in-depth cleaning, taking the time to clean your staircase is an important step to increasing the lifespan of your staircase. We’ve been designing and installing world-class custom staircases in the Melbourne area for decades, and we are ready to help you with your next staircase project. For more information on our designs or to schedule a consultation, contact us today. Why is Steel So Popular In Custom Staircases? With custom staircase trends changing every year, there’s a material that’s risen in popularity that seems to be sticking around for the long-run. Steel is an incredibly popular material for both residential and commercial custom staircases, and for some very good reasons. Home and business owners are realising not only the great structural benefits of steel, but the cost benefits as well. At S&A Stairs, we are pushing the limits on custom staircase designs. We love working with high-quality steel for a modern, sleek look, but we can also use steel in traditional staircase designs. Here’s why we recommend steel for your next staircase project. Steel is one of the strongest custom staircase materials available. Your staircase needs to be structurally sound, and lightweight stainless-steel can provide the lasting strength your staircase needs to keep your family, employees, and customers safe. Whether you use steel in your home or in your business, steel is going to ensure that your staircase is safe and secure. If you want a staircase that’s going to last, a steel staircase is always an excellent option. Steel will last for decades without showing signs of wear and tear, so if you have a staircase that’s going to get a lot of foot traffic, you’re choosing long-lasting durability when you choose steel. Durability is particularly important in commercial environments. Employees, customers, and inventory may be going up and down your stairs every day, so it’s important to choose a staircase material that’s going to stand the test of time. Included in strength, durability and strength is stability. While all of our custom staircase designs are structurally sound and stable, steel adds another layer of stability into the mix. Steel won’t bend and warp like other cheap metals might, which is an important safety feature. If a staircase is built with the wrong material for the weight load, the materials can bend and warp, which can compromise the integrity of the entire staircase. Another feature that we love about steel is it’s so easy to customise. This lightweight metal can be used in a wide range of staircase projects, from floating staircases to traditional staircase designs. We feel that steel staircases can work with virtually any style of home or business. As we previously mentioned, steel is an extremely affordable material and can help cut down on costs when you build a custom staircase. We understand that cost is an important factor when designing your custom staircase. We can help you craft the staircase of your dreams using cost-effective, durable materials like stainless steel, glass, and high-quality timber. Whether you’re looking for an all-steel staircase or a combination of a few materials, our design team can help make the most of your custom staircase budget. Custom Steel Staircases From S&A Stairs. Steel is one of our favourite materials to work with, and it’s easy to see why. No matter what kind of staircase design you choose, there’s always a way to add steel, whether it’s for structural support, visual appeal, or both. While spiral and floating staircases use steel more often than more traditional designs, there’s no reason you can’t add beautiful steel to traditional staircases. For decades, S&A Stairs has been the area’s leader in custom staircase design and installation. Our founders had a vision of shaping the landscape of custom staircase design, which we are still doing to this day. No matter what kind of staircase you need, our team of design experts can turn your dreams into reality. Check out some of our top projects or speak with a design consultant today to start your next project. As the area’s top provider of high-quality custom staircases, we wanted to share our story. For almost 100 years, S&A Stairs has been creating exceptional staircases that transform homes and businesses across Australia. In that time, we’ve earned the reputation of producing quality works of architectural art while keeping our designs high-quality, transformative, and cutting-edge. Here’s how we became the S&A Stairs you know today. Almost 100 years ago, Slattery & Acquroff Stairs was founded with the dream of creating one of a kind staircases for homes and businesses across Australia. 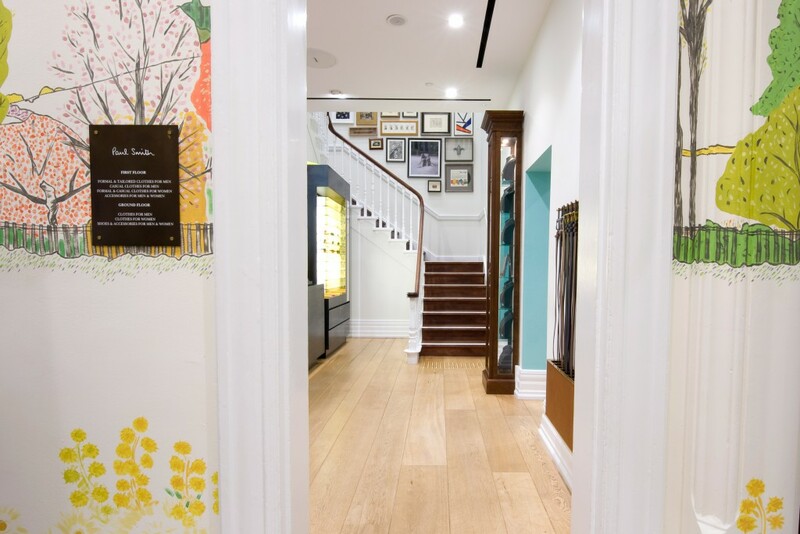 Our skilled founders used their creative talent to design and craft truly iconic staircases. Taking inspiration from classic staircase architecture while also pushing the limits of what was possible in staircase design, S&A Stairs has shaped much of Australia’s rich staircase design history. Our company was built on innovation and progress. We also believe in trust and integrity in everything we do, which is how we’ve fostered relationships with some of Australia’s top builders and designers that have lasted over 50 years. We are interested in more than just profit. We are passionate about creating exceptional experiences for our employees, our partners, and our customers. Our team doesn’t leave those values at work when they’re done for the day, they bring those values into their communities. At S&A Stairs, we believe in being a positive force in our local communities, which is why we sponsor local initiatives such as the Royal Children’s Hospital Good Friday Appeal, the Henley & Villawood Charity House, and even local athletic teams including the Camberwell Hockey Club and Werribee City FC. S&A Stairs is a family owned and operated business that truly values its employees. We currently employee over 180 people across three states, with many of our team having over 20 years with the company. That just goes to show how much we care about and value our team. We strive for a culture that feels like family and we pass that culture along to every customer we have the pleasure of designing for. We’ve had the chance to work on some truly iconic staircases in many homes and businesses across the area. Our designs have pushed the envelope in staircase architectures. Some of our most famous projects include Hoddle Street, Island Drive, Black Street, Kerford Road, and Dawson Court. Check out our projects page to see some of our top designs in the area. We are a full-service staircase company, meaning we are with you every step of the way. Our process begins with a design consultation so we can fully understand your needs. We will provide you with an accurate quote and timeline for the project, then we can design, manufacture, and install your custom staircase. As you can see, the team at S&A Stairs has had a rich and vibrant history shaping staircase architecture trends here in Australia. While it is important to look to the past, it’s even more important to look to the future - that future is with you. Without our customers, we wouldn’t have the chance to create innovative staircase designs or transform homes and businesses in the area. When you choose a staircase from S&A Stairs, you’re choosing quality and exceptional service. We would love to help you with your next residential or commercial staircase project. For more information on what we can do for your or to set up a consultation, contact the team today. Upgrading your staircase is no small task - from consulting with our design team to putting on the finishing touches to your custom staircase, there’s a lot that goes into this kind of project. Understanding the process and how your staircase comes together is an important step to working with our team on your design. If you’re new to custom staircases, here’s a basic overview about how stairs are built and why it’s important for you to know. Assessing the Size of Your New Staircase. The most important part of your entire custom staircase project is to properly assess the space we are working with. This will allow us to accurately measure the rise and run of the staircase. Your staircase rise refers to the height of the staircase from one floor to the next. It’s important for us to get an extremely precise measurement to ensure your staircase fits properly in your space. The run is the measurement of how long your staircase is. We will assess your space to make sure your staircase isn’t too long for the area we are working in. This will tell us the angle of the stairs and can guide us on how many steps to include in your new staircase. Once we have accurate rise and run measurements based on your design choice and the space we are working with, we need to first construct the stringers. Stringers are what give your staircase support, so they’re a very important part of the construction process. They’re also used as a design statement. We have tons of stringer design options, from traditional straight closed stingers to central stringers with open risers. You have complete control over what stringer you want in your staircase depending on what style of staircase you want to have. Once your stair’s stringers are complete and secure, we install components that make up each individual step, called treads and risers. Treads are the part of the staircase that you step on - when you think of the word ‘steps’, you’re thinking of the treads. Risers are completely optional and are there primarily for design purposes. We love the modern look of open risers because they allow so much light to pass through your home. On that same note, some of our most stunning staircase projects have been classic, elegant staircase designs with closed risers. It’s truly a personal design preference. Now that we’ve got the basics of the staircase constructed, it’s time to add on the finishing touches. We add the important safety features like balustrades and handrails to keep you and your family safe. With so many design choices, our handrails and balustrades only improve the look of your staircase. We also add posts to your staircase to finalise the look of your project. We have a few styles of posts to choose from, so you know you’ll find exactly what you’re looking for to completely transform your space. S&A Stairs - A Full-Service Staircase Company. As you can see, there’s a lot that goes into the construction of a custom staircase, and these are just the basics. We think it’s important for our customers to understand that process so they can partner with us throughout the project. At S&A Stairs, we are more than just a staircase manufacturer - we are a full-service staircase team. That means we are there with you in every step of the project. From the initial design consultation to the first steps you take on your new staircase, our team is going to be there for you. Let us help transform your home or business into the space of your dreams by giving us a call today. There’s a lot more that goes into a staircase than you might realize. Aside from treads and risers, you need things like posts, balustrades, stringers, and one of the most important features, handrails. Handrails are what keep you and your family safe going up and down your stairs. This important addition to your staircase gives you something sturdy to hold onto, which can prevent injury if you lose your footing. Here are some things to consider when choosing your next staircase handrail. There are quite a few handrail styles to choose from. One of the most popular handrail styles that may actually be the style you first think of has a curved surface that fits naturally in your hand when you hold on to it. The wide top that curves gently in for a thinner bottom is designed to mimic the contour of your hand, making it feel natural when you grab the rail. Another popular style is a semi-oval with a flat bottom. This design is also meant to follow the natural curve of your hand, but provides a more modern look. If you’re wanting the same feel of a traditional handrail but with an updated style, this is a great option for you. We also have completely round handrails that are great for creating a clean line along your staircase. Without any additional curves or flat areas, it creates a very modern and minimalist handrail look. Finally, we design completely square or rectangle handles for a truly modern and updated handrail style. While these do not follow the curve of your hand, they’re great for creating a design statement on your staircase. Now that you know a few of the styles that you can choose from, you need to decide what material you want to use for your handrail. We carry both high-quality timber and stainless-steel, so you can get exactly what you’re looking for. The great news is that both timber and stainless-steel can be designed and manufactured to look either traditional or modern, so you’re really not limited in your choices. While timber may be associated with a more traditional handrail design, there are plenty of ways to use timber to actually make your staircase and your space look modern. Using high-end timber in a floating staircase design can completely transform your space from boring to unique. You don’t always have to use metal and glass to get the modern edge you’re looking for. On that same note, stainless-steel doesn’t always mean a modern staircase design. We can use stainless-steel to accent a more traditional looking staircase or we can use wrought-iron for a timeless, elegant look. Metal is an excellent accent for a wide range of staircase designs, so don’t be afraid to implement metal into your staircase upgrade. There’s more to a handrail than just the part that you hold on to. We have an excellent selection of handrail finishes to choose from - add an elegant design to start your handrail at the base of your staircase for added style and luxury. While they’re not needed for any functional purpose, they do add elegance to your handrail. Check out our products page to find our unique handrail features that you can easily add to your custom staircase design. At S&A Stairs, we focus on the fine details of every staircase we design and build. From the structural support to the last finishing touches, we are focused on high-quality design and style. Your handrail is an important part of that finished design and our team can help you decide what’s right for your new staircase. Contact our team today to get started on a design consultation. Choosing A Staircase That Maximises Space. If you are limited on the space in your home, chances are you’ve been searching for ways to maximise your home’s space. From clearing out junk to rearranging furniture, there’s only so much we can do to create more space. What you might not have considered is renovating your existing staircase. If you look at a traditional staircase, it’s not really maximising your home’s space. Traditional staircases often take up a lot of room in your home and block off a lot of crucial space that could be used for something else. By upgrading your staircase, you could add a significant amount of space to your home. The first thing to do when you’re considering a staircase upgrade is to assess your current space. Sometimes our staircases are actually making the most out of our space or they’re providing important structural support to other areas of your home. If you aren’t able to use the space underneath your staircase or if your staircase is blocking the natural flow of light in your home, a staircase upgrade can truly transform your space. You’d be surprised how much space is wasted if you’re not able to use the area underneath your staircase. By opening up that area with a new custom staircase, you’ll have more room to do the things you love. Is Your Priority Space Or Style? It Can Be Both. Most people think that a custom staircase means either maximising space or getting the style they want. The reality is, it can easily be both. With a custom staircase design by S&A Stairs, you can capitalise on your home’s space and get a truly stunning staircase in the process. You shouldn’t have to decide between style and functionality. Styles Ideal For Small Spaces. There are quite a few styles that are ideal for small spaces. With these styles, you’ll open up your staircase and get a stunning new feature in your home. The first style you should consider is a floating staircase. With a floating staircase, you’re greatly reducing the area that’s taken up by your staircase and have truly endless design options. You can have a straight staircase, a unique curve, or a staircase that doubles back on itself. With the staircase support coming from your wall or ceiling, you’re freeing up the space underneath your staircase for you to use for something else. Spiral staircases are timeless designs that are incredibly effective at maximising space in your home. The tight spiral makes the design much more vertical than a traditional staircase, which can save you a lot of space in your home. Most spiral staircases are also not enclosed, meaning you can use the space around and under your staircase as well. While the staircase design is important, lighting plays an important role in making your space feel open and bigger. Choosing a design that maximises on space as well as lighting will make the biggest impact in your home or business. That means choosing a design that blocks as little light as possible. Designs with open risers, glass balustrades, and thin posts are all simple design tricks to improve the lighting in your space. We know how important it is to make the most of your space. Our team has years of experience designing stunning staircases that make the most out of your home. No matter if you are a homeowner or you’re looking to upgrade your business, the team at S&A Stairs can help. Contact us today to get started on your dream staircase design. Choosing the Right Posts for Your Project. From a traditional staircase design to an updated, ultra-modern staircase, there’s a lot that goes into the final touches of any staircase upgrade. Whether it’s for your home or for your business, paying attention to even the smallest details will make all the difference in your project. Staircase posts are often overlooked when thinking about the overall staircase design. They’re not only an important design element for your staircase, they can also be used for structural support. Here’s why choosing the right posts for your project is so important. A newel post is a broad term for posts that are more traditional in style - they’re often built with timber over other building materials. These posts are what you might see on a classic staircase style and come in a wide range of simple to intricate designs. The most common newel posts is a simple rectangle post with a rounded top that can be easily held on to. While that may sound simple and boring, newel posts highlight the timeless elegance of traditional staircase architecture. If you want something a little less traditional, there are plenty of modern newel posts that feature unique designs and bevels throughout the post. Our high-end timber can be finished to create a modern look that goes well with any style of home. When you choose a newel post, you’re not just limited to the choice of post - there are quite a few post tops that you can choose from to design the perfect post for your new custom staircase. While a common newel post top is a traditional round top, there are other, more modern designs that you can choose. Check out our products page to see our selection of beautiful newel tops. Stanchion posts are much more modern posts and are often made of our high-quality stainless-steel. Their design is meant for the post to be secured at both the top and the bottom of the post, whereas a newel post is secured only at its base. With stanchion posts being secured at both ends, it adds greater structural support for your handrail and balustrades. You can choose either a squared-off post or a smooth, rounded post for your custom staircase project. Our stanchion posts come in various thicknesses to match your exact style of staircase. As we mentioned, there are a few different staircase materials to choose from, but don’t feel like you can only use timber for a newel post or that you can only use metal for a stanchion post. Both metal and wood can be finished to create either traditional or modern looks, so choose what you’re happiest with when it comes to your staircase. A wood stanchion post is a striking staircase accent, and a metal newel post can blend both traditional and modern designs. Think about your staircase design when you’re choosing your posts. If you have a glass balustrade, for example, a thick stanchion post is an excellent way to frame off your staircase. Consider a thin timber post if you’re looking for an elegant, traditional style. What matters most is that you’re happy with your staircase design. Posts are an important design choice for creating a complete look for your new staircase. The expert design team at S&A Stairs can help you decide the perfect post for your next staircase project. Check out some of our stunning post options online or give us a call today for assistance picking the right post for your custom staircase. Caulfield is one of the richest suburbs in Australia, in terms of its architectural heritage, because it is adorned with homes by many of the country’s most famous Mid-Century Modernist architects. The work of the period was characterised predominantly by post-war migrants who settled in the south eastern suburbs of Melbourne, bringing a whole new range of skills with them from Europe. Robin Boyd, Graeme Gunn, Grant Featherstone, and McGlashan Everist have all made an immense impact on the interior and exterior design of suburbs like Caulfield. Today, high end developers like McKimm are charged with extending the lineage of Australia’s renowned architects, building on the work of mid-century architects to update the face of suburbs steeped in history. No mean feat, considering the demands of developing sites at a profit in today’s climate. Nowhere is this careful and important job more thoroughly executed than at McKimm’s latest project, Howitt. Right in the heart of Caulfield, the large family residence (1200 sq), comprises five ensuite bedrooms, a gym, steam room, compact basement cinema, basement courtyard, pool and tennis court. While its immense size isn’t exactly in line with the modernist principle of function dictating form, it is a terrific example of how modern technology can build on the design principles of yesterday. The home is tied together by the large ribbon stair at its heart. Built by S&A Stairs, it fills the centre of the home and connects levels, diffusing the natural light - which comes from an expansive skylight above - and spreading it evenly between key spaces. Its luxurious curves make a playful and sculptural statement. Its round form working in opposition to minimal living spaces. It’s finished with carpeted 32mm treads, curved toughened glass and an etched black stainless steel handrail. It was more than 100 years ago when Swisse boat builder, Augusto Pedrazzini started crafting boats by hand on the shores of Lake Zurich. Today, run by his great grandson, Augusto's incredible search for perfection continues - the boat company started in his name, and still make every boat by hand, with some of the rarest mahogany in the world. It takes more than 9 months for the Pedrazzini crew to finish one of the small masterpieces. Over the course of a century, they've become one of the most sought after and recognised boat building brands in the world - a testament to the endless search for perfection, for embracing repetition and improvement, and always staying true to your craft. Every week we look through magazines and architecture websites to inspire our own design. After the second World War ended, something remarkable happened in Australia. As migrants from Europe flooded into Melbourne and Sydney, we were introduced to European tradesmen with craft and skill that had never been seen before on our shores. The result was Australian Mid-Century Modernism, a unique style of architecture that had a more profound affect on Australian city suburbs that any other style of architecture. Between the 1950's and 1970's, architects like Robin Boyd, Neil McGlashan, and Harry Seidler designed simple homes based on simplicity and practicality. During the time, Robin Boyd became Australia's most famous Modernist architect, designing homes through the Melbourne suburbs that are still renowned today, including the Boyd House, the Featherstone House, and the Black Dolphin Motel. As a response to the design of Boyd and Seidler, Australian furniture design took on a new and wonderfully inspired form. Grant Featherstone, Douglas Snelling, and Fred Lowen, together with furniture companies like Fler and Aristoc, brought out timeless designs that would punctuate the living spaces of homes from the modernist architects. We think the results are something to behold. In the space of little more than a decade, the Australian architectural identity was forever shifted. Our favourite home of the time is, perhaps, the Featherstone House by Robin Boyd. It was designed by Robin Boyd for furniture designers Grant and Mary Featherstone, in Ivanhoe, Melbourne. You're not perfect. There are blemishes on your skin, scars and marks and bruises. The natural world certainly isn't perfect. Every tree bares the marks of the seasons and the elements - curved and best and scarred in ways that make it unique. But these imperfections are the good stuff. The character, the detail, the personality. It's often the imperfections in people and architecture that we find most attractive. We like that there is something hidden underneath or rough on the surface. Architecture can embrace this sentiment, too. At its best, the traditional Japanese style of crafting - Wabi Sabi - celebrates imperfections in materials and enhances everyday life by stripping back to a simple aesthetic and focusing on the essential elements. Once the essentials are at the centre, it brings the materials and the architecture into sharper focus. In Japanese design, often, it's not about making things perfect. When you design your home, consider the natural knots and marks in materials, the way they age and crack and break and bend over time. It's these details that give your home a spirit and an energy. Sometimes it just has to be honest, not perfect. The Japanese view of life embraced a simple aesthetic that grew stronger as inessentials were eliminated and trimmed away - Tadao Ando, Architect. We don't just craft and design stairs. We scour architecture books and magazines for the most considered designs in the world. Every month we put them together and make a mood board of our most highly regarded Climbs of Imagination. This month we dedicated our first Climbs of Imagination post to the curvaceous, deliberate detail of Art Deco architecture. Brutalism is, perhaps, the most maligned school of architecture in the world. It rose to prominence throughout Europe, America, and even Australia in the post war period between 1950 and 1970, as a response to the decorative periods of architecture at the beginning of the century, like Art Deco in the 1930's, where architects were able to express themselves with intricate details and ornate finishes. But when the end of the war came and there was a new world to be built, Modernist architecture took full flight. In Australia, the work of Robin Boyd and Harry Siedler became hugely influential in the suburbs. Architects would create buildings that turned a buildings forgotten form into architectural statements. Clean lines, manicured lawns, and split level homes followed. In the commercial sector, at least, there was a significant swing towards brutalism after 1960. Brutalist buildings were incredibly popular on large scale projects. Architects would design buildings that were rugged and raw in form, they'd feature mountainous slabs of concrete, bold forms, and repetition. In Australia, some of our most famous civic buildings are from brutalist beginnings. Think the National Gallery of Victoria, the National Gallery of Australia, and many of the university buildings in Melbourne and Sydney. Over the last 30 years, brutalist buildings have been much maligned. Today, however, there seems to be a new found love for the iconic brutalist buildings from around the world. In England, for instance, the Twentieth Century Society - a British architecture conservation society - came out and said it would be a tragedy if decent, well thought out, and essentially humane buildings were mocked and destroyed. It came as David Cameron promised to remove some of London's most talked about brutalist buildings, often used as public housing. Over the past few years, there's been a great brutalist revival about - architects have started incorporating it into design, artists into art, painters into paint, and the BBC into headlines like 'Why Brutal is Beautiful'. For the record, we're fond of brutalism too. Every day is different in the S&A factories around the country. During any given week, we build stairs for houses that range in size and scale, from high end stairs that belong in some of Australia's most renowned homes, to quaint pieces in home renovations. In our Melbourne factory, there's a constant flow through the factory, from the machine shop at the east end of the factory to the assembly area at the west end. If you follow closely enough, you can watch the raw timber go through the process of machining, dressing and gluing through the machine shop, to where it is bent, cut and crafted into the shape by our highly skilled craftsmen. Stairs are very intricate and detailed, so there's still so much that we do by hand at the S&A factories. Along the far wall our craftsmen line the timber benches, in the same way they've done for almost 100 years. They use their specialist skills to add a human touch to our stairs, shaping all components including our signature continuous handrail. One corner of the factory is entirely dedicated to the art of geometry. We glue up timber, create a cast, and then carefully mould and bend the timber around it over a number of days. Once the timber has been stripped and sanded, finished, bent, curved and moulded, it heads out the other side through dispatch. It's picked up by our drivers and taken to site the very next day. In this blog post, we asked Melbourne photographer Peter Tarasiuk, to capture the movement and life on a regular day at S&A's Melbourne factory. We are so pleased with the results. A short history of Australia's most remarkable timber, Huon Pine. If you head west from Hobart in Tasmania in the car, you can be in some of the oldest forests on earth in just over 90 minutes. The Huon Pine Forests in the state's southwest are blanketed by narrow trees that shoot up from the mountainside and fight for the sun high into the air, they're the tallest hardwood trees on earth. If you're passing by a particularly large tree, it's likely to be more than 3,000 years old, which means it came to be long before the birth of Jesus Christ, the Ancient Egyptians and the Roman Empire. Huon Pine grows in a particularly wet climate, and as such, has developed some incredible qualities. It's the most durable timber you'll find anywhere in Australia. According to some sources, logs that have been lying on the forest floor for several hundred years are still harvested and milled, because they contain a high density of methyl eugenol, the same essential oil that gives timber its terrific creamy yellow colour. Today, Huon Pine is a protected species, and sadly, it's in a decline. It means that the price of Huon Pine today is between 6 and 10 times the cost of popular Australian hardwoods, because 85% of the 1.2 million hectares of old growth forest is protected permanently. If you're lucky enough to reclaim some Huon Pine, it comes alive with high polish. It's an incredibly narrow tree (it grows a maximum of 2mm every year) so in the space of 30 centimetres across the intricate, beautiful grain, you can stare back into the history of the weather and the seasons. Architect in Focus: Graeme Gunn. It was the middle of the 1960's and the world was expanding at a rapid rate. You've heard of all the stories of the post-war boom in Europe and America, a rise in world housing, culture, and media that had never been seen before. Modern cities were expanding, bursting out from their centers and into the suburbs with new ideas and developments. In Melbourne, it meant that we had to find a new architectural identity for a growing city. Some thought the future of Melbourne's outer suburbs - which are now ironically, Melbourne's inner city suburbs - was a quarter acre block. You'd get your lot of land, clear all of the trees and pave it with cement, without a thought for the natural landscape. Your house would look just like your next-door neighbours, and with mass market housing on the rise, it would look like it could be anywhere. After all, that's what they were doing in housing developments in America. But then something incredibly lucky happened in Melbourne in 1965. Two young entrepreneurs, David Yencken and John Ridge, founded Merchant Builders, one of the countries most renowned and enduring project-house building companies. It was a time of great change throughout the building industry, and Merchant Builders were, perhaps, the first developer in Australia to offer architect-designed homes to the mass market. If they hadn't shown the appropriate care, Melbourne would have looked a very different city today. But over the course of 26 years from 1965, Merchant Builders changed the way Australian suburbs looked forever. We think for the better. They did it with the help of architect Graeme Gunn, who had a vision for new housing. Gunn was concerned that with new developments, there was a 'start again' mentality, where the design of a home took no reference from the environment that surrounded it. So together with landscape architect Ellis Stones, they began to hero the Australian landscape in their designs, and placed the environment around them. To this day, the work of Graeme Gunn and Ellis Stones is credited as truly iconic Australian architecture. In an article for the University of Melbourne, Rees Quilford, the Engineering and Marketing Manager for the Melbourne School of Design, says that "Yencken and the firm's consultant landscape architect Ellis Stones were also deeply interested in how to increase density in Melbourne's inner and outer suburbs without losing the amenity of connection with landscape, and especially indigenous trees and plants. They were committed to a suburban landscape that was uniquely Australian." "It was a house builder dedicated to the protection of the natural environment;" Guilford continues. "It promoted the merits of 'cluster' developments as an alternative to conventional approaches to suburban planning; and it offered 'kit homes' comprised of factory made components to minimise costs and embodied energy." There's also a great article on Merchant Builders by Urbis Magazine, with photographs from Brooke Holm. You can read it here. In 2011, Gunn was recognised for a lifetime of work in architecture, with the Australian Institute of Architects Gold Medal. The highest honour from the Australian Institute of Architects. Over the course of the next six months, we're writing a series of stories on Australia's most influential architects on the S&A blog. Top Left - Fiona Lynch renovates and restores a classic Merchant Builders' home in Melbourne's inner east. Photo by Brooke Holm. Top Right - Converted Merchant Builders garage in Melbourne. Middle Left - The Beaumaris home of Matt & Cindy Skinner and family. Photo by Annette O'Brien. Production by Lucy Feagins - The Design Files. Middle Right - A home designed by Graeme Gunn and built in 1967 for John Ridge, one of the founding directors of Merchant Builders. A New Look: Slattery & Acquroff Stairs. Today, Slattery & Acquroff stairs unveils a new brand mark and domain, with a new website to come this December. Our new look reflects much of what we have come to stand for over the last 95 years. We strive to be progressive and memorable, and to make the stair building process as simple as we possibly can. We have been known affectionately in the industry as S&A for many years, and our new brand mark is designed to align with what we're known as in day to day operations. It is with great excitement that we launch our brand new website as S&A Stairs. A 120 Year Old Building that Exemplifies Contemporary Design. Nestled in Melbourne’s inner suburbs the Bastow Institute of Educational Leadership bridges the gap between the old and the new. Originally built as a school in 1882 by Henry Robert Bastow, it is the ideal setting for a forward thinking educational facility. Boasting an array of design features it was awarded the best facade of 2012 by the AWCI. At the heart of this heritage listed building is a unique stair. While complimenting the past with classic balustrading it remains contemporary with modern spotted gum steps flooded by light. 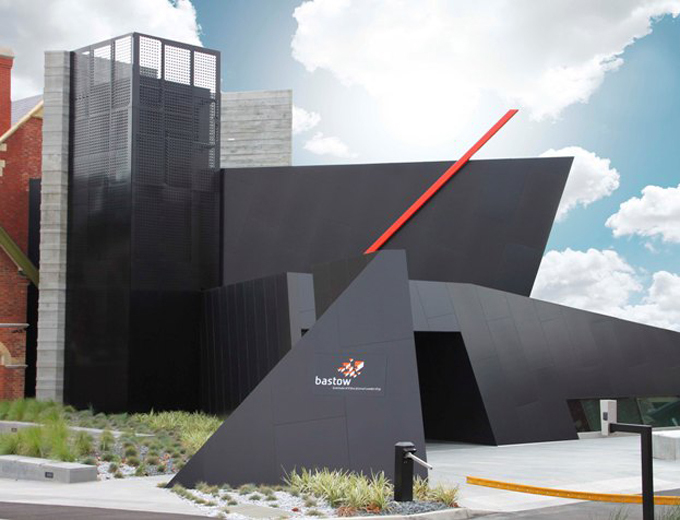 View our 'Bastow Institute' project here. Photo credit: Sarah Louise Jackson and AWCI. Innovative Thinking – Abstract Designs that Appeal to the Senses. Every so often there is an architectural design that embraces the beautifully abstract while maintaining an inviting and livable space. The Fawkner Way project, recently critiqued in the archdaily.com is one of those designs. With an incredible steel facade that lingers through the interior in the form of its staircase, the Fawkner Way project is edgy and full of intrigue. A focal point in its own right compliments both the exterior and the adjoining kitchen. The dark steel balustrade still allows the light to flow though into the living space and brings a continuation of the wall colourings to the first floor. To see the full review of this incredible home click here. Characterised as one of the most unique buildings in Melbourne; The Bridge Hotel in Richmond also houses one of our most unique stairs...and people are talking about it! Type "The Bridge Hotel" into a google search and you'll get review after review raving about their new design. Notably the good people at The Age have put fingers to keyboard and produced this great piece on what's now one of Melbourne's most iconic hotels. Check out our Bridge Hotel project here. An Eclectic Stair in a Building Full of History. We provided this stair recently for Paul Smith's Melbourne store, in the historic 120 Queen Street building. As with every Paul Smith store his "British eccentricity" shines through in all aspects of the interior. This stair is no different. It has that great mix of eclectic and traditional styles, with its mismatched balustrades and it's sweeping handrails. We adore this stair & its backdrop of funky artwork (although we can't take the credit for that part!). If you would like to view our Paul Smith Melbourne project, click here.